5 ways to run faster! Warm up thoroughly: before you embark on a run or any session, it is important that the muscles are ready. They perform better, when they have good blood flow and have the ability to stretch and contract more readily. Include a small jog and dynamic stretches, such as leg swings; side to side and across the body, hip circles, upper body twists and arm circling. Add some pace! If you tend to do all your runs at the same pace, you are not working the different energy systems of the body or training the muscles to contract faster. We want to work in the high heart rate zone to improve how we utilise oxygen (v02max). This means going getting the heart rate right up, to improve vo2max and therefore improve pace. We know it’s not sustainable on long runs, but it is for short bursts. 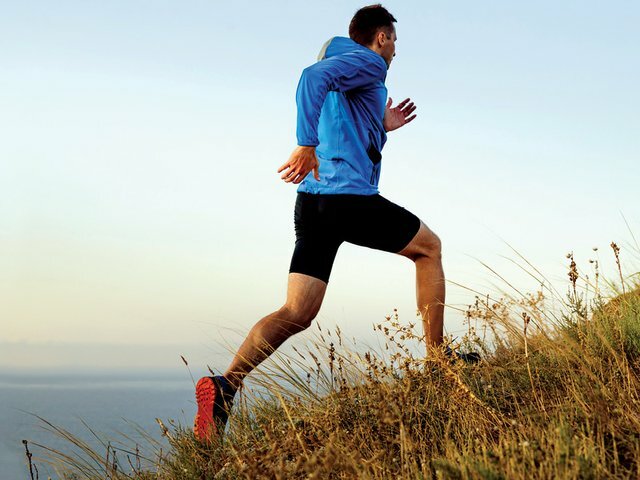 Try shorter intervals at a faster pace than you race or run at, use a walk/jog break between. You only need to go 5-10 secs quicker per km pace over a short distance. An example is running 400m hard, then go 400m easy walk/jog. Repeat this 4 times, building up to 10 for more advanced runners. As you get better, you can reduce the rest to 200m. Try this once per week, as it needs to be introduced gradually, for the body to adapt to. Lift your heels Are your feet close to the ground? By lifting your heels a little more towards your bottom, the leg swings through quicker for each stride. Therefore, you move quicker! This is particularly evident in runners as we start to tire, our feet start to drag close to the ground. Think tall and just lifting a small amount higher can make a big difference to how quick we turn over our legs. Get strong. The stronger your core and gluteals are, the less likely you are to collapse though the hips, which helps running efficiency. Improved efficiency = being able to run quicker at the same effort/heart rate. The leg and postural back muscles are important too, so incorporate lunges, squats, bench or cable rows, with your sit ups and planks. If you unsure about strength exercises, make sure you seek out a coach or trainer to demonstrate the correct technique. Don’t forget to stretch Our muscles, tendons and ligaments produce more output when they can lengthen to then forcefully contract. Imagine it like an elastic band when you stretch it out and let it go, how far it flies. If the band is shorten it doesn’t fly as far. The elastic band is like our muscles, but attached to tendons. They need to keep supple and lengthened. Try stretching daily, especially after sessions, where we are more likely to stiffen up. You need to hold a stretch for 20-30secs to get any benefit. Just a few tweaks to your running routine, can make you a faster and stronger runner. We will cover these in more detail at our Soul Runner 2 hour run technique workshop. The next workshop is Saturday, February 9, 2019 at Gosch’s Paddock. See https://www.soulrunner.com.au/sessions-and-services for more information. Williamstown Health + Lifestyle are also offering a FREE 15 min physio assessments (value $50). Drop us a line with any running questions askcoachmel@gmail.com.